I hadn't realized what a short book it was! 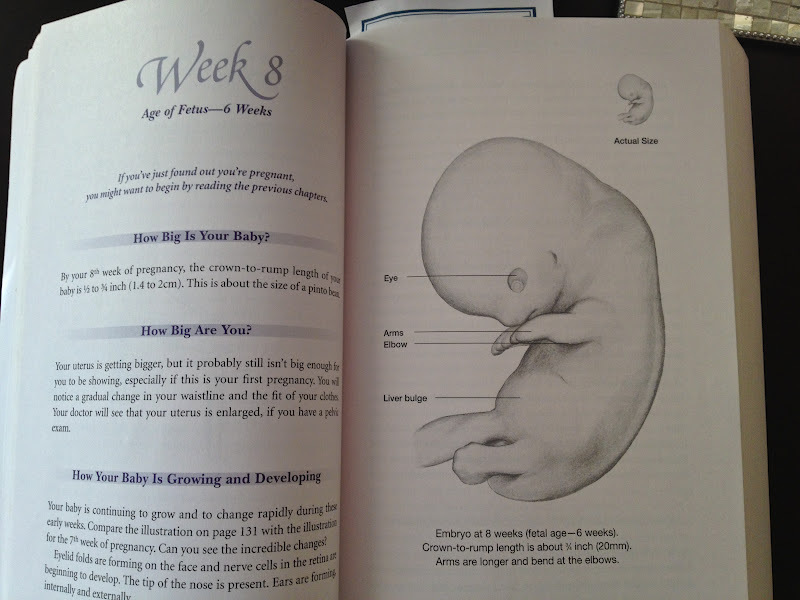 It was a collection of very short, humorous pregnancy stories. Jenny McCarthy was super entertaining as a writer. I literally read it one afternoon when my nausea was so bad I couldn't think of leaving my bed or my room. It was a great distraction! 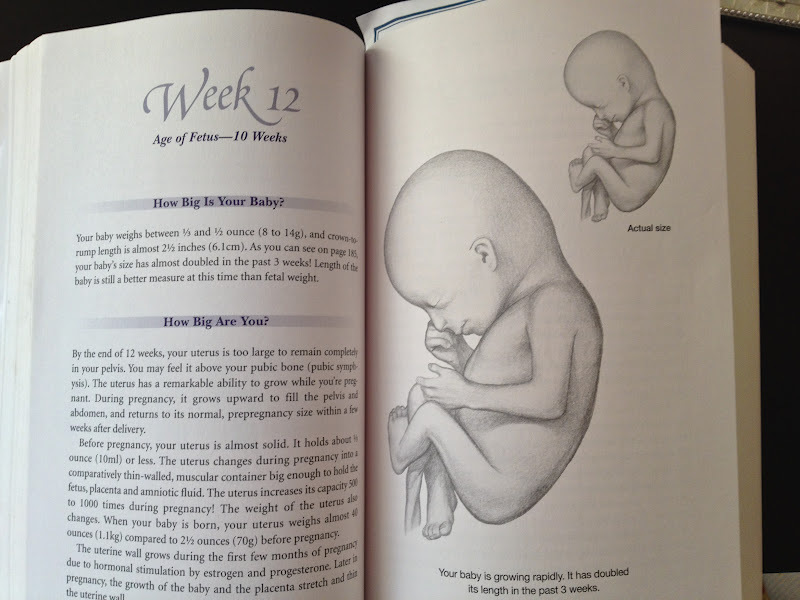 (which I have as well), in that it gives guidelines and advice about everything from eating to sleeping to exercising when pregnant. 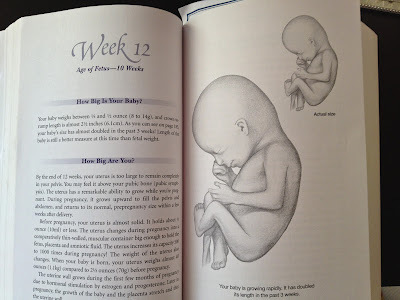 In some ways, it was stricter than What to Expect When You're Expecting (like parameters for limiting certain foods and caffeine), and in some ways it was more lenient. What I really loved about the book, however, is that it's broken down by week instead of month. 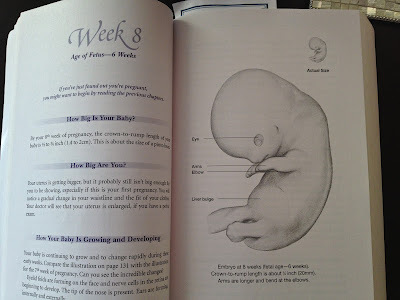 For each week, I get a ton of information plus (the best part) detailed illustrations of what baby looks like in utero. I hands down prefer this book over What to Expect (thanks, mom! ).